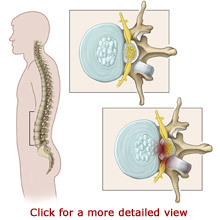 The lumbar spine is a common source of back problems. Your lumbar spine is located in your lower back. The main function of the lumbar spine is to support the weight of your upper body. 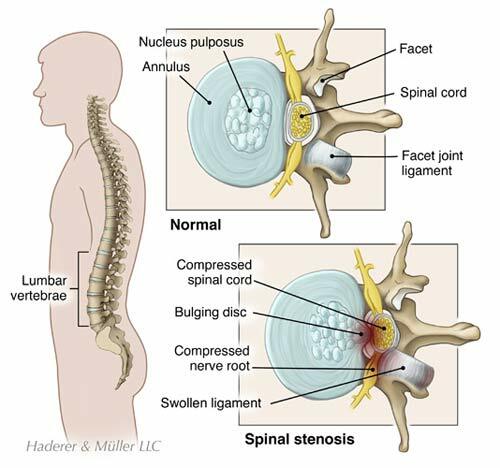 The joints of the lumbar spine primarily allow you to bend forward or flex and extend or straighten at the waist. You use lumbar flexion when you bend forward to touch your toes. You use lumbar extension when you straighten your back to stand erect after bending forward.